For the record, I have only seen one of director Zach Snyder's previous films being 2004's Dawn of the Dead. That vehicle was a very small sample size compared to what I witnessed at a screening for his much anticipated Superman reboot Man of Steel. Within two and a half exhausting hours, I realized that this man is truly a visionary filmmaker. Snyder shoots action scenes like no other director I've ever seen (a lot of long shots and extreme long shots). There's a relentlessness, a sort of exuberant energy that comes with every frame. He throws a lot at you until you just can't take it anymore. So OK, let's lay it all out on the line, there's enough suspenseful battles/fistfights/shoot em' ups in Man of Steel to fill 7-8 movies (I'm not kidding). They are well done and totally eye popping. But this flick is a classic case of a cinematic exercise "living by the sword and dying by the sword." That means Man of Steel's strength is also its weakness. The last 45 minutes consists of carnage and destruction that you have to see to believe. There's an attempt of movie sabotage going on here which does two things: it bogs down the third act (story loses focus) and makes you, the moviegoer, feel like you're watching Transformers all over again (the part that hurts the most is that once the action heightens, the caliber of acting goes downhill and the characters become less dynamic). Now based on my rating, it's apparent that I will recommend this movie. But I am disappointed in the fact that it could have been so much better. The first half is incredibly compelling and invigorating (a possible Best Picture nominee perhaps). The second half, well what can I say, it's a big explosion fest that would fuel the psyche of your typical action junkie. To conclude the first paragraph of this review, I will say this: yes, Man of Steel is a "popcorn flick." In fact towards the end, it's popcorn with a pound of butter and plenty of fine, iodized salt. Now if you've seen the first two Superman films (Superman (1978), Superman II (1981)) or have a love for comics, the story should be very familiar to you (Jor-El predicts that Krypton is going to be destroyed so he sends his son Kal-El to earth where his identity remains unknown. As time marches on, Kal-El realizes who he really is and identifies his possession of superhuman powers. This propels him to maintain and take care of our planet). Man of Steel stays somewhat faithful to the past Superman entries but at the same time, there is a whole new take on the proceedings. This film has the distinction of being a remake with plot elements of not one, but the combo of both flicks from 78' and 81' (General Zod is a more pivotal character this time around and Lex Luther is non-existent). And let it be known, this is a much much darker adaptation. It's more military in nature and the whimsical love story between Clark Kent and Lois Lane is sorely left out. Now, a lot of critics have found the seriousness and darkness of this entry off putting. Thankfully, I have no problem with it. Snyder's new vision is realized and assured. And there's a kind of anti-hero vibe to Man of Steel that makes it surprisingly moving (maybe it's keeping with today's mindset, I can't be sure). The cast is mostly all aces. 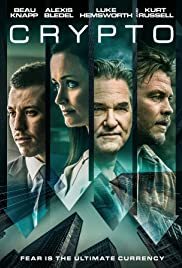 All the actors/actress that show up and contribute, probably could each helm their own movie (Russell Crowe, Kevin Costner, Diane Lane, Laurence Fishburne, Amy Adams). Almost everyone on screen delivers but it's Costner (Jonathan Kent) who stands out. His performance in a somewhat small role as Kal El's adopted father, is quietly powerful (there's a scene with destruction by tornadoes that will give you goosebumps). And then there is Russell Crowe as Jor-El. Listen, nobody is cooler than Crowe. He even fights a little (Gladiator style at the beginning). But his performance doesn't quite match the intensity of Marlon Brando's stint from 78' (I think it was Marlon's voice alone that kind of sealed the deal). As for the lead of Superman, Henry Cavill does a fine job despite what you might have heard. He's no Christopher Reeve (it's impossible to equal Reeve's charm and charisma) but he looks the part perfectly, has a solid screen presence, and caters to the physical demands of the role. He's a little wooden at times, but with the next installment (you know it's gonna happen), I think his acting will probably get better and better. Just a hunch. That leaves the one weak spot in casting which would be Amy Adams as Lois Lane. Now I still think she's a solid actress but her minutes on screen lack a little depth. When Margot Kidder played the part in the original, she did more "reacting" and than acting and it made her performance more natural not to mention more human. Adams is no doubt a movie star but when I saw her in Man of Steel, I just thought, that's Amy Adams (this tends to happen with a lot of big name stars). 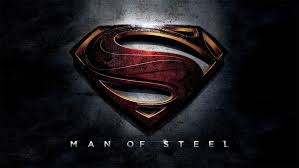 In conclusion, I found Man of Steel to be a solid entry in the retelling of the Superman franchise. There's shades of greatness that mostly show up early on. Honestly, if this flick had eyes, you'd see in them a yearning early on, to become a cinematic masterpiece. Sadly, because of the plot going on autopilot late in the proceedings, things don't quite work out that way. But come on, it's going to make a ton of money and there's sure to be a sequel. How do I know, well you can painfully tell that the filmmakers do an obvious job of shoving that notion right down your throat. This is done at the very end and I've never seen a film try harder to announce a sequel than this one does. But hey, no worries. You'll probably still enjoy the feverishness and relentless swagger that is Man of Steel.